Charmed Charlee Charlee runs this blog amazingly well, her photos are always beautiful & clear, the content is always interesting & keeps me coming back. She has a good variety of posts and I love her style of writing. Not to mention she is a sweetheart, always leaving me such lovely comments. If you're not already following this blog I suggest you do, you won't regret it. Laurzrah Laura writes an evenly mix of beauty & lifestyle related posts on her blog, which I personally love. She always has me lusting after the most stunning beauty products and my list is ever growing due to reading her blog, but I don't mind I'm a beauty junkie after all. Not so long ago she got engaged so I love keeping up to date with her wedding posts. Definitely check out this blog, one word amazing. 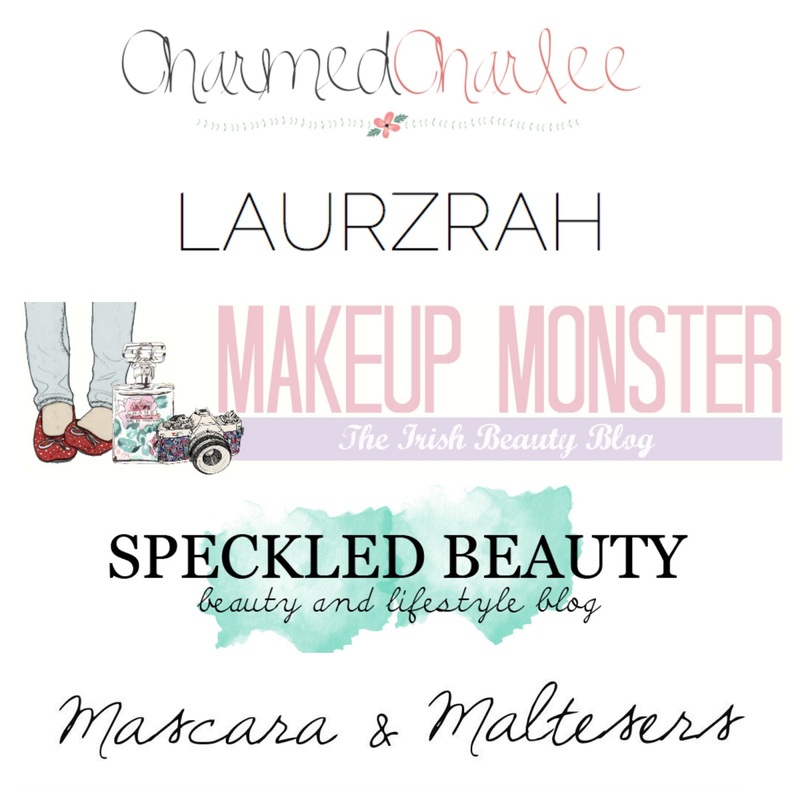 Makeup Monster This is one of my favourite Irish blogs and one that I have been reading way before I even had the courage to think about starting my own, so a long time and I still love it as much as I did when I first discovered it. The posts are always something I can relate to, something I am lusting after or something I already own/love. What I love most is that the swatches of products are always shown on the face so I can see exactly how the product looks. If you're not already following, then I suggests you do as you won't be dissapointed. Speckled Beauty The lovely Emma & her beauty blog was one of the first I discovered when I started my personal blogging journey. I was/still am so jealous of her photography skills, she has some great photos with each & every single post, which really helps me get an idea of exactly how the product is in real life. I love her honesty on whether the product is something she loves or something she has been disappointed by. Not to mention that she literally has me lusting after so many lippies, every shade looks amazing on her. Do check out this great blog, it deserves all the hype of some of the bigger blogs out there. Mascara & Maltesers This is such a professional blog, I love the layout, the photography & just how clear everything is. The lovely & gorgeous Anabelle writes the blog & you will too lust after her cheekbones as much as I do, once your an avid reader (honestly). I love the mix of high end & budget beauty product posts, as it's always nice to see such a great mix. I also love catching up with her lifestyle posts where she is a tourist for a day as it gives me an insight into places I need to visit in the UK. Definitely give this blog a visit right now, you will be hooked.